What to study Arts and Humanities Why Study Art History? Learn why the study of art history is important and where it can lead you. In a financial climate where the arts and humanities are lower priority subjects, the value of art history (and visual culture) should not be forgotten, and should certainly not be overlooked by students wanting a creative yet academic degree which offers a wide-ranging field of study, and provides graduates with a range of skills applicable in many employment sectors. Studying art history, like all history, aids our understanding of the present and the future through the analysis of the past. While art history focuses on art and its production, this incorporates many other fields, including social history, aesthetics, economics, politics and anthropology. The discipline’s methodologies also draw heavily on philosophy and critical theory. It combines well with a range of other humanities subjects to create stimulating joint honours programmes. Students of art history and visual culture are exposed to a wide range of disciplines and approaches, and apply these to the full range of countries and historical periods, thus leading to cultural, political and historical awareness. Students carry out independent research, learn to read texts and images critically, write and speak on these topics, and draw their own conclusions. 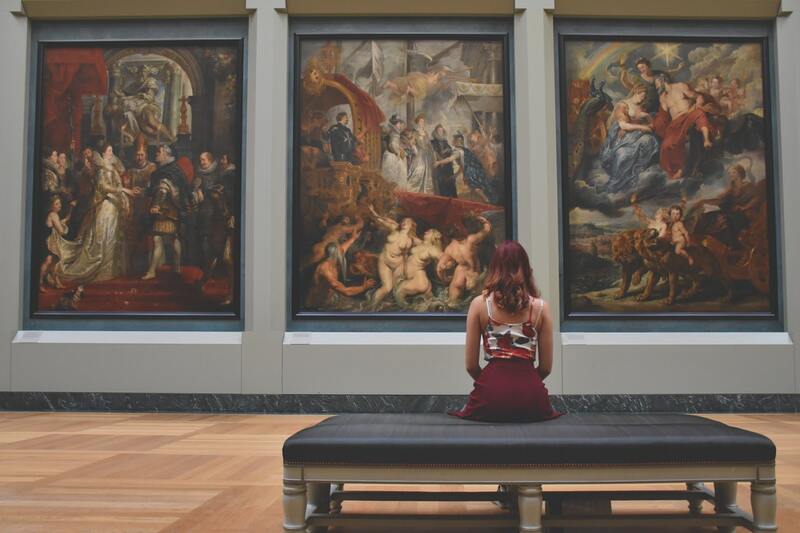 Art historians feed the public’s interest in art; many students want to go on to work in public museums and galleries. Their studies, therefore, contribute to the preservation of national heritage, plus the works from all over the world that we are lucky enough to house in the UK, and also to the educational activities carried about by museums and galleries. The heritage tourism industry is also a major part of the country’s economy, attracting millions of visitors every year and contributing to related businesses throughout the UK. As well as careers within the arts, art history graduates develop widely applicable skills: working independently, writing essays, delivering presentations, undertaking research and analysing texts and images. In short, the discipline breeds culturally aware independent thinkers, avid researchers and passionate communicators whose knowledge stretches far beyond the art which first drew them to the subject.